When you think of jumbo jets you most likely imagine some of the behemoths manufactured by American firm Boeing and its European counterpart Airbus. Their most prolific biggest commercial models respectively, the 747 series and the 380, were designed to ferry roughly half a thousand passengers across oceans for the most extreme long-distance air travel destinations. So what if I told you that a certain airline has acquired an Airbus 380 for use in traveling a round-trip route that would take just about seven and a half minutes both ways to cover by road? In a manner of speaking, you’d barely warm your seat before you’d already arrived. 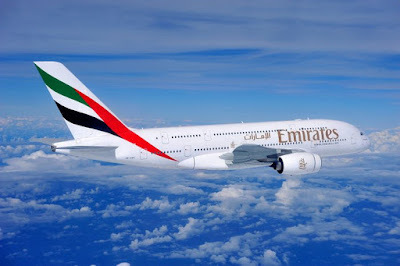 But that’s pretty much the case for Emirates according to The Telegraph when on Thursday December 1 the airline launched its latest – and shortest – air route traveled by Airbus 380 anywhere in the world. The new route connects Dubai with the Qatar capital of Doha, which cannot be reached directly by most other international flights. Anyway, the inaugural A380 flight took about an hour and 20 minutes getting from Dubai to Doha, with the return flight taking an hour and 10 minutes. 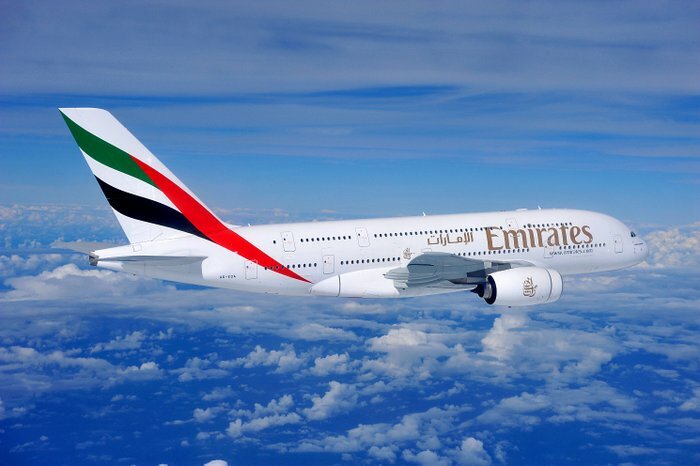 In both instances the time spent by the Emirates jumbo in the air was roughly 40 minutes. To be perfectly frank, such a short flight time means you won’t get to sleep in on the Airbus’ reclining seats, or even avail of the shower spas with all the other passengers in competition. Patrons likely won’t get to drink much at the in-flight bar, and even those who’d rather stay in their seats and play couch potato will never get to surf through all available channels, and will have to settle for a half- hour show to view because there’s just no time for a feature-length movie. Emirates reportedly opened this service so that travellers from Europe or New York flying to Doha can enjoy a “seamless A380 experience”; but with the short flight time will there even be something to really enjoy? You’ll probably spend more time at the Dubai airport layover. While the new Emirates Dubai-Doha route is the shortest ever traveled by jumbo, it’s not really the shortest active air route, period. The shortest flight anywhere is operated by Loganair in Scotland and is a domestic two-minute passenger route between Westray and Papa Westray, both in Orkney. The shortest international route on the other hand is one flown by People’s Viennaline connecting Switzerland and Germany, eight minutes in all. The Dubai-Doha route from Emirates costs $230 economy, $575 business and $1,425 first-class. Put in perspective, the first-class passengers are paying $36 for every minute in the air. How short.